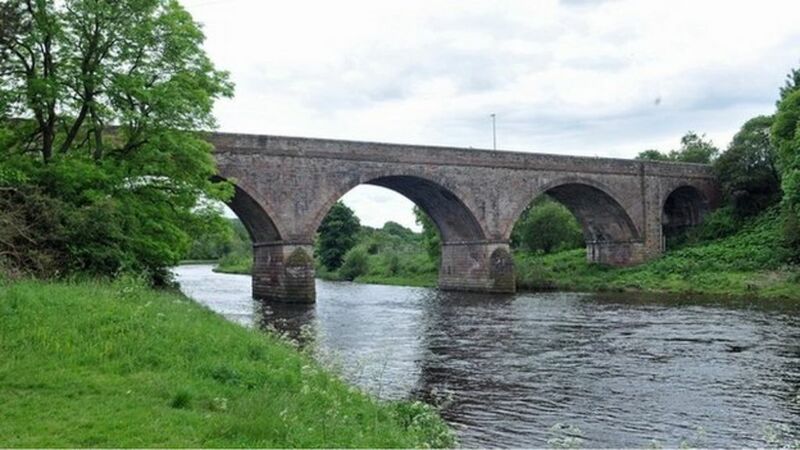 Network Rail has appointed BAM Nuttall as main contractor for the delivery of the Borders railway in a £220m deal. The contract includes detailed design and construction works for the route between Edinburgh and Tweedbank. Network Rail said it would see about 500 jobs created between now and the 2015 deadline for reopening the line. Network Rail appoints BAM Nuttall as main contractor for the delivery of the new Borders to Edinburgh railway in a deal worth £220m. St Margarets B1 no 61099 on an Edinburgh - Hawick service, probably the 4.10pm ex-Waverley, seen here running between Gorebridge and Fushiebridge. The photograph is thought to have been taken in the summer of 1964. Seen from a carriage window of the 'Scottish Grand Tour No.6' railtour on 4 January 1969, the Edinburgh end running-in board at Galashiels station and a totem which hopefully now graces someone's study wall. The recently demolished (2012) Beechbank Mill, latterly converted to flats [see image 39258] forms a backdrop.